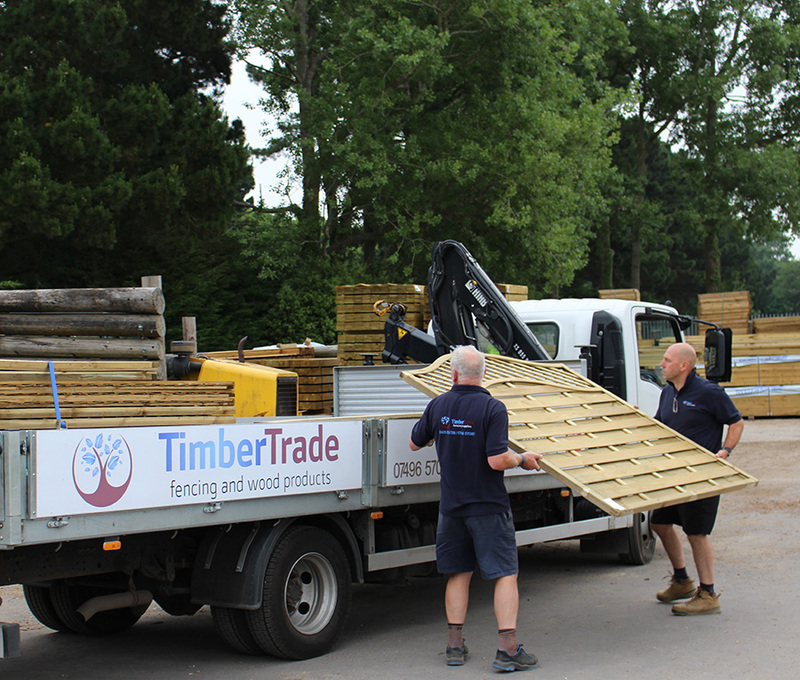 Timber Trade is owned and run by Mark and Barry. They started in September of 2015. Every time you pop in or call us, you will always speak to Mark or Barry. We are a family run company and you can find our timber yard based on the site of Otter Nurseries. The yard is run by the two partners, Mark and Barry so you’ll get a personalised, professional service from two men who care. We have closeboard and featheredge wood panels in stock, all sizes. Or featheredge boards and components to make your own sized closeboard fencing. We also stock gates in various sizes along with all the fittings required. We stock logs, kindling and we make log stores to order, whatever size you require. We stock trellis (standard sizes) or made to order if required. We supply retail and trade customers for Lymington, Milford-on-Sea, New Milton, Everton, Barton on Sea, Christchurch, Hordle, Sway, Highcliffe, Boldre, Brockenhurst, Pennington and surrounding areas. We also supply relevant ironmongery for all your fencing needs. Concrete gravel boards and posts. We also have garden sleepers and decking in stock. Free local delivery available. (Delivery is kerbside of the property and will be the nearest point off the road. Please ensure you have the necessary ability and equipment (if required) to move the items into your property). If we have asked you to be available to help offload items then please ensure you are available to do this. We can let you know the day of the delivery and whether its likely to be morning or afternoon. Come and visit us on the site of Otter Nurseries (we are very friendly!). As you approach off the main Milford Road (see yellow Otter Nursery signs) turn right and follow the signs to our yard.